Browning 024100103 BL-22 Grade I Lever 22 Long Rifle 20 15+1 Walnut Stock Blued in. 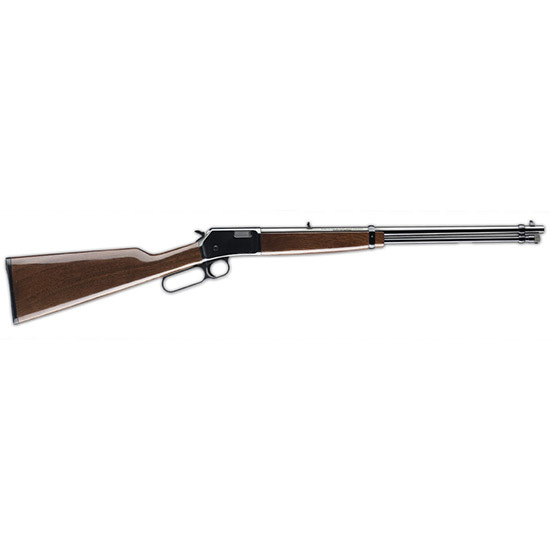 The Browning BL22 is a traditional lever action rifle with a forged steel receiver short throw lever and crisp trigger that is great for taking a walk in the woods knocking over a few cans or putting dinner on the table. The quality of a BL22 is evident from first glance with beautiful fit and finish and accuracy to match. A BL22 is a rimfire rifle meant to be used and enjoyed now and for generations to come.